*** Time for this post? Reading… 7 minutes. Implementing… however long it takes to make the call that gets the ball rolling. Most of us cringe when we think about making our wills. Such a pain! Don’t even want to think about it. I know that I should…and I will do it… one of these days. “One of these days” doesn’t come for all of us. Some die suddenly and the family is left scrambling to find out what is where. Others find themselves very ill, debilitated, and in the hospital—with family members delicately trying to find out if there is a will without appearing to hope the person will die so they can get their inheritance. Not a pretty sight, and not what any of us would want if we were thinking rationally. The topic of dying tends to evoke irrational responses. Here are a few reasons for this. What would you add? Trauma from a childhood experience involving the death of a family member, friend, or beloved pet. Fear of offending a dying person by bringing up the topic. Fear of sounding greedy or insensitive if you are an adult child wondering about what your parent’s wishes are and where they are recorded. Most of us have emotional reactions to the reality and logistics of death. One way or another, our emotional blocks interfere with our ability to act reasonably and responsibly. Often we cope by avoiding talking or even thinking about all death-related things. Discovering your own hangups and releasing them paves the way for you to have productive conversations around dying, whether you’re the child or the parent. In my experience, emotional blocks often respond to energy psychology modalities such as NLP and the Emotion Code. Making a will is a lot of effort, especially if you have to jump over emotional hurdles before getting started. And then when you do get down to business, there are several important decisions waiting to be made. Maybe it isn’t worth the trouble to make your will. You’ll die some day, whether or not you have a will. What happens when there isn’t a will? Someone who dies without a valid will is said to have died intestate. When that happens, the Wills and Succession Act describes how the distribution of your belongings is determined. Essentially, it sets out an order of distribution based on the family tree, starting with the closest relatives—spouse or partner, then children. If there are none, it goes to parents, siblings, grandparents, aunts/uncles and so on, in a prescribed order. If no relatives are found within two years, the estate is turned over to the Alberta government and held under the Unclaimed Personal Property and Vested Property Act. Should no valid heir come forward within 10 years, the property belongs to the government. If there is no will, and minor children are left without parents, the court appoints a guardian for them. The court’s main concern is the welfare of the children, and it will choose from among suitable family members, unless there are none. In this case, the children would be placed in a foster home. Reading this, you might think that everything’s looked after under the legislation, so there’s no need to make a will. On the surface, that could appear to be true. Why not just let the government handle it, then? For one thing, it’s usually more complicated and expensive to process an estate when there isn’t a will. That means it’ll take more of your money and someone’s time to do the job. For another thing, you can’t be sure that the specified succession pattern will suit your situation. And laws usually don’t allow adjustment to individual circumstances. Modern lives are complicated and unique— A person is separated from a spouse (although not divorced) and living with another partner. There are families with children from different mothers or fathers. There are childless single people who want their estate left to a charity rather than their siblings. If it were possible to imagine all the scenarios that might arise during your life, you might be able to guess if the legislation would work in your favour or not. But given all the unknowns, it’s probably easier to just bite the bullet and make your will so that you can have things your way…even after you die. Does completing your death documents still seem like something that you should do rather than something you want to? “Shoulds” are weak motivators because the direction and expectation is coming from a source outside of you. We need to find our own reasons, especially for tasks that aren’t any fun and may require us to make difficult decisions. What if you had a mind shift? A mind shift is simply a change of perspective. And often that’s the best way for us to unleash our motivation. 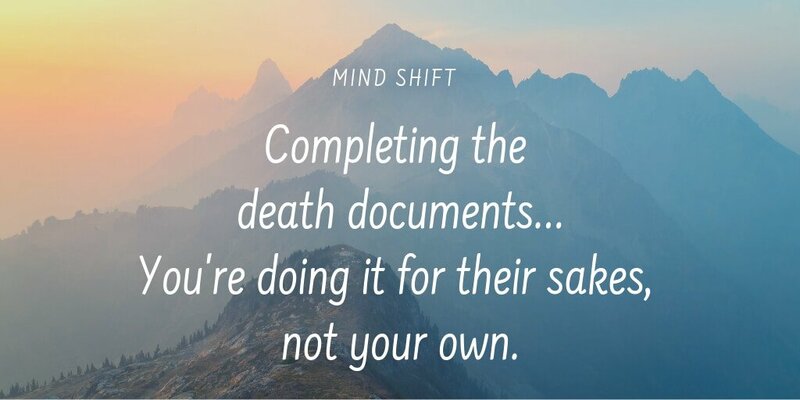 We all know that it’s a good idea to have certain documents in place when we die because we live in a culture that’s organized around these documents. But if we don’t have them, we still die. Dying without a will won’t cause any problems for you. You won’t be the one who has to deal with the laws pertaining to dead people and their belongings. Picking up the pieces will fall to those you leave behind. If your will is still on your to-do list, find a lawyer. Make the appointment. Next week I’ll tell you how to prepare yourself for the meeting. Please note: Laws vary between provinces, states, and countries. I’m using information from where I live to illustrate principles, but you will need to check the details in your jurisdiction. The Internet is a good place to start. ***Time for this blog? Reading…7 minutes. Activating…up to you. In my last blog, I talked about dealing with your things. 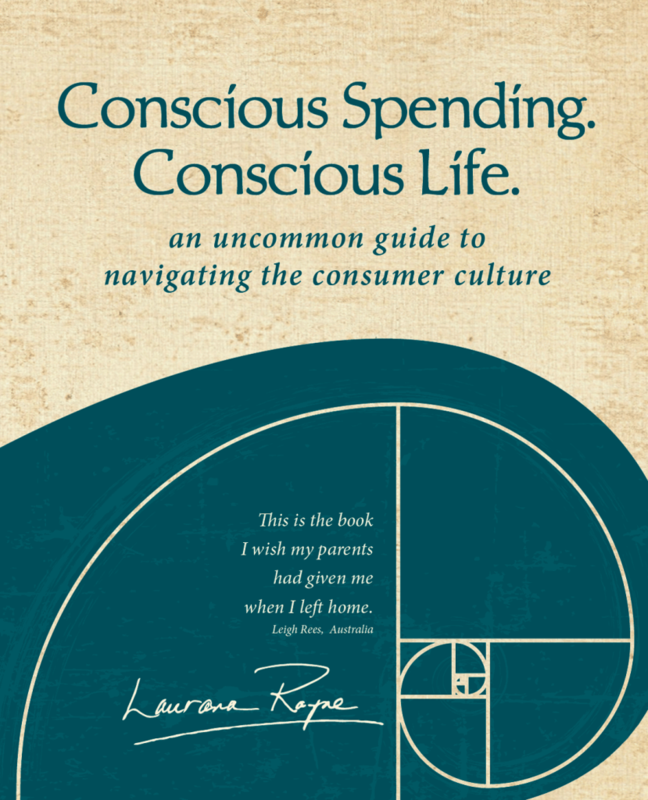 Given today’s title, you may have anticipated ideas about sorting and distributing your possessions before you die. I will address that, but not yet. Today I want to discuss a less tangible, more abstract aspect of putting your house in order. No one’s favorite topic, I know. But if we don’t do it when we can—long before the end is in sight—we will leave a stressful mess behind. Dealing with that mess will be much more challenging than clearing out your physical stuff. When it comes to belongings, your kids can bring in a junk removal service and have everything gone in a day so they can get your house on the market. If you don’t have your documents in place, they won’t be able to sell the house you own. That is a legal process and you must have given them the authority to act on your behalf. Without your authorization, they will have to jump through hoops to be allowed to handle your affairs. Settling your estate will cost extra time, trouble, and money. How can you ensure that your survivors are able to sell your house, pay your outstanding Visa bill, and manage your investments until they legally inherit the estate? That is the role of your Will—to give authority to someone you name to wrap up your financial affairs after you’ve died. In your will, you specify how you want your estate distributed. The person who you name, known as the executor, is in charge of making it so. Suppose you aren’t yet dead but need your family to take over managing your financial affairs. This is a realistic possibility, given the increasing rates of Alzheimer’s and dementia these days. How are assets managed and bills paid in a situation where you’re physically or mentally impaired? You can’t do it, but nor can your executor because the will only comes into effect after you have died. And your bank will not allow family members to march in and take over your accounts, even if they arrive with a compelling story about your inability to do it. On one hand, that is reassuring. But this rigorous protection of your assets works against you if you haven’t prepared for someone to take over your affairs when you are alive but incapable. That is why you need to draw up a Power of Attorney while you are still mentally sound. For all of us, this means doing it sooner rather than later. There is other paperwork you need, but start with your Will and Power of Attorney. 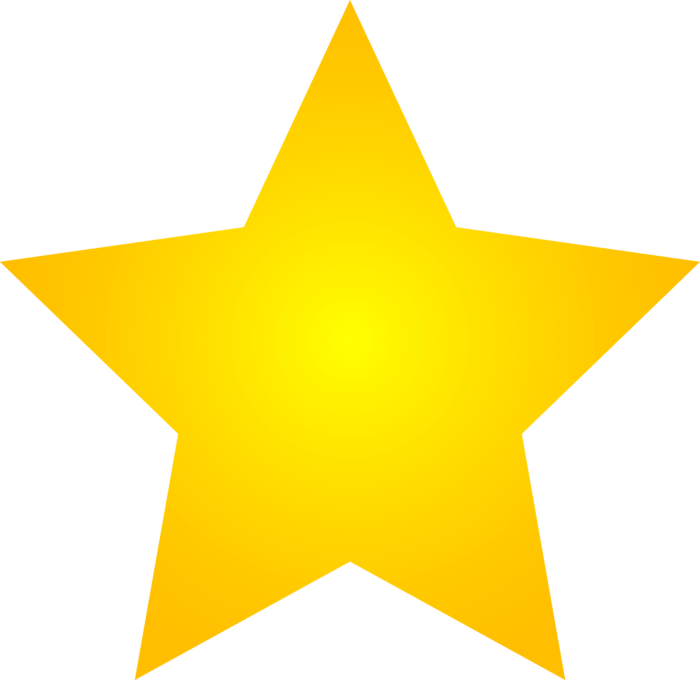 If you’ve completed these documents and recently reviewed them to be sure they are still current, you get a gold star! Awareness is the first step toward getting these documents written. Never underestimate the motivating power of awareness. Once you know what’s standing in your way, you can do something about it and get on with the task at hand. Often it is unconscious, unspoken beliefs that sabotage our best intentions. There are many ways to release or adjust unconstructive beliefs once we know what they are. This previous blog points you to several of those modalities. In a quick search of “Calgary lawyers fee for wills,” I saw that lawyers are typically charging a flat fee rather than an hourly rate. For you, this means you’ll know how much the end product will cost. There are no surprises, and you can shop around to compare fees and what you get for them. The Internet has been a game-changer in this process. Among the seven lawyers’ websites I looked at, flat fees for a simple will range from $400-$600. If you have complicated family relationships and/or finances, it will take more time and thus cost more. You would find that out in your initial meeting and should be given an estimate of the cost in your particular situation. You can decide then if you want to proceed or get another opinion. By the way, it is entirely your right to assess the lawyer at your first meeting and move on if you feel you can’t work with that person. Ideally, a couple prepares their wills together and the documents mirror each other. Fees reflect this by charging couples less than double the amount for one person. Examples from my research, with the couples fee in brackets: $400 ($500); $500 ($750); $600 ($900). Some lawyers offer a package deal for preparing your Will, Power of Attorney, and Personal Directive (Living Will). One example was $900 ($1200). Side note: It is not required that your Personal Directive (Living Will) be made by a lawyer. You can fill out the appropriate forms yourself and sign them in the presence of a witness. More about this another time. If this exploration reveals any insights you’d like to share… or questions you want to ask… please do so in the comment box below. Please note: Laws vary between provinces, states, and countries. I’m using information from where I live to illustrate principles, but you will need to check the details in your jurisdiction. The Internet is a good resource for this.